How much power is enough? 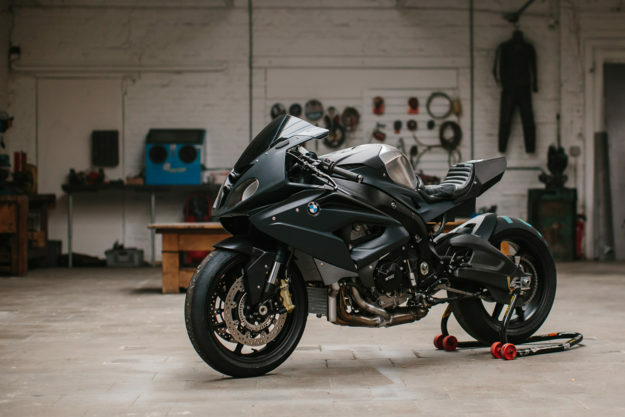 For BMW Motorrad, that figure currently sits at 199hp: the output of the class-leading BMW S 1000 RR. That’s an intimidating number for mere mortals like us. 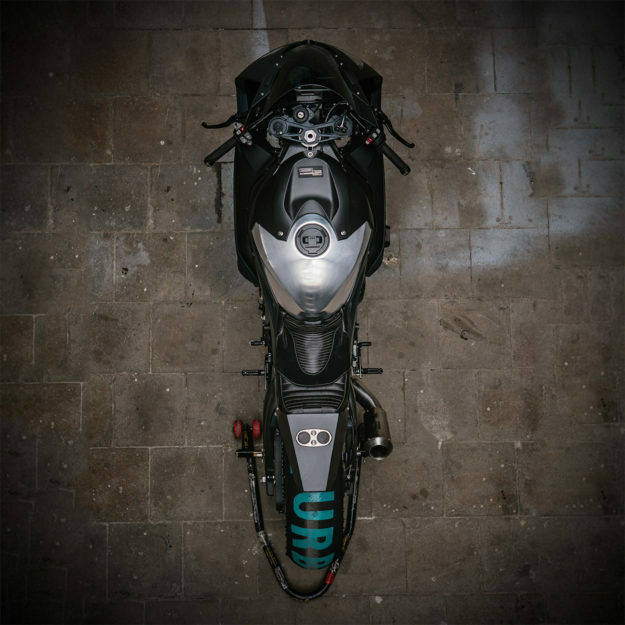 But for Steven Decaluwe of Motokouture Motorcycles, it’s not nearly enough. 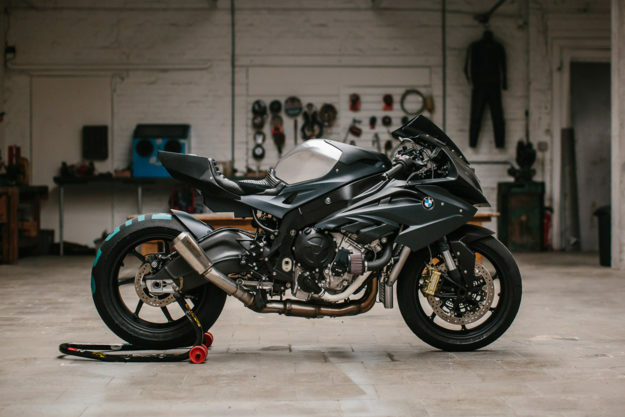 So when BMW dropped an S 1000 RR off at his Belgian workshop, he knew exactly what to do: go overboard. As he stripped the bike down on the bench, Steven tried to figure out a direction for the project. 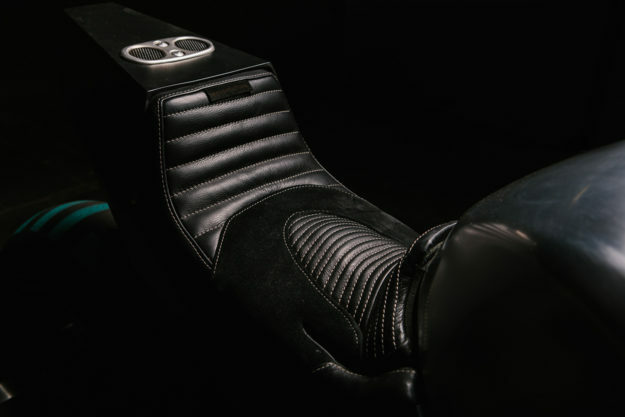 “I wanted to prove that the chassis and electronic riding aids are so extreme they can even tame a turbocharged engine,” he says. 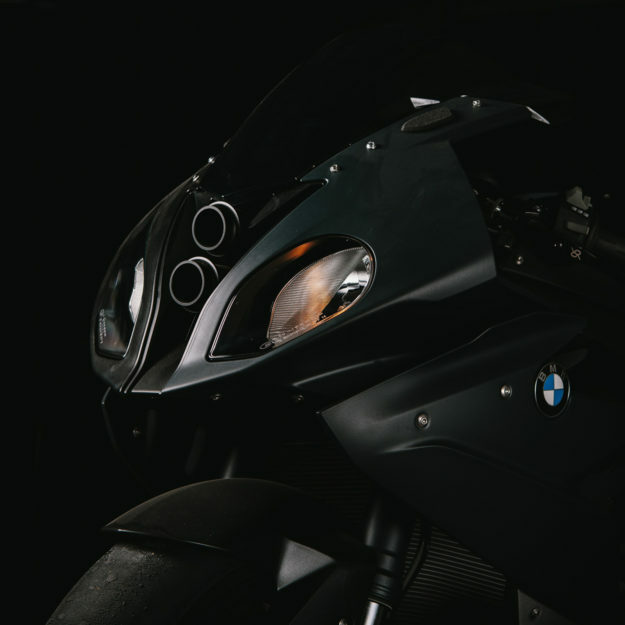 So that’s exactly what he did; after weeks of studying the bike, he installed a Garrett turbocharger with an electronic actuator connected to the ECM. 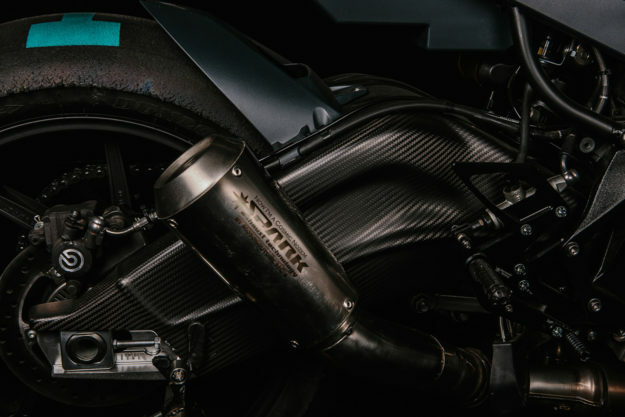 And he did it stealthily too: the turbo’s neatly hidden away, between a custom-made fuel tank and air box. 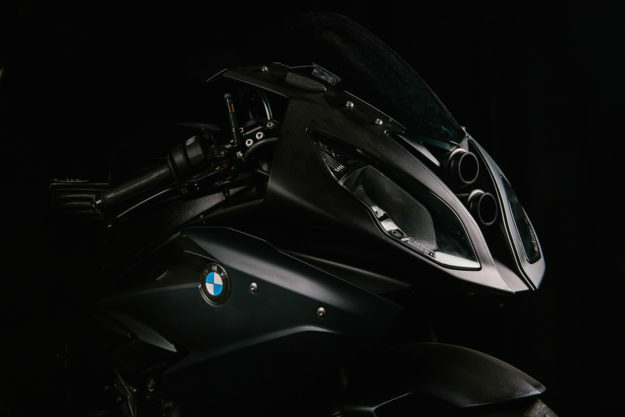 Here are the new numbers: 296 hp at the rear wheel; 145 Nm of torque at 9100 RPM; and a top speed limit set at 319 km/h (which can be reached in fourth gear). Setting up the turbo also meant fabricating new air intakes; one at the side, and two poking through between the headlights. 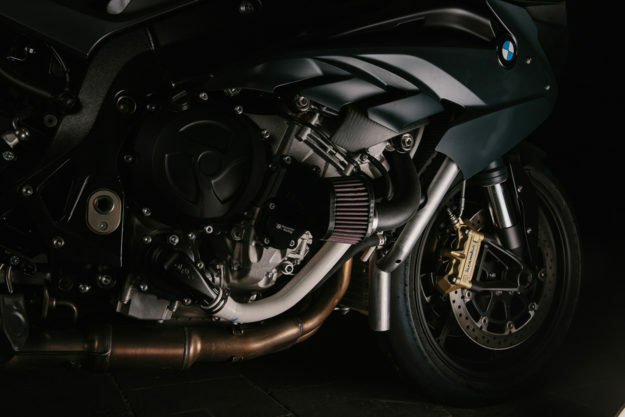 Steven reworked the fairing to make space for these—and for the custom exhaust headers, which terminate in a Spark muffler. Öhlins front fork internals—with ceramic coated upper fork legs—help the chassis cope with the extra kick. 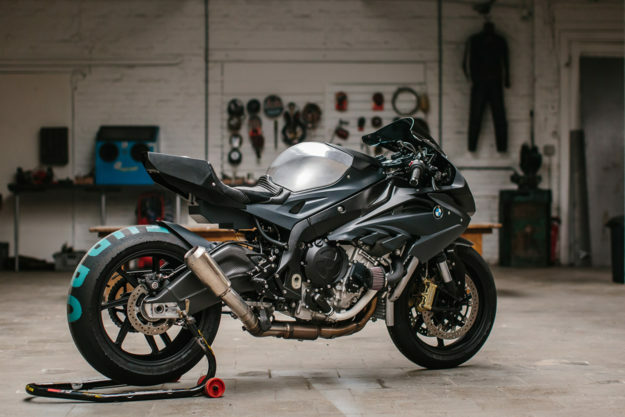 There’s a carbon fiber swing arm wrap too, and a pair of BMW HP4 wheels. Rear-sets, clip-ons and brake parts from Bonnamici round out the upgrades. All told, the changes have brought the bike’s weight down to a respectable 196 kilos (432 pounds). Steven’s named his beast ‘VDC#92/MK30,’ as a tribute to his friend and Belgian racer, Vick De Cooremeter, who tragically lost his life in 2014. We’d be too damn scared to swing a leg over this thing ourselves. So, for now, we’re just going to sit at our desks and stare for a while.